Over a decade and a half ago, community members first took notice of Duckworth’s penchant for helping others and called upon him to represent them in an official capacity. On the way to his studio one morning, Duckworth recalls, neighbors stopped him to ask if he’d consider running for City Council. Although he had previously not given the idea any thought, he decided to campaign after more friends in his community encouraged him to serve. 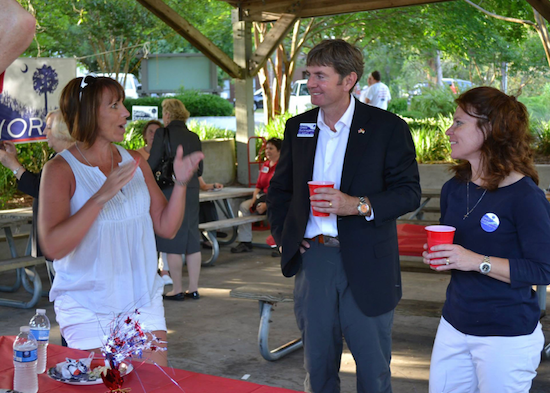 Duckworth and his wife, Crissy (right), speaking with constituents at a campaign picnic. 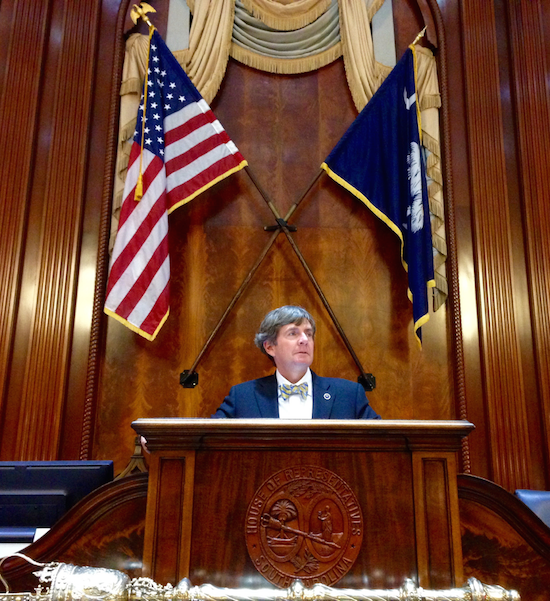 Duckworth at the South Carolina House of Representatives. Duckworth’s talent for mediation and his landscape architecture knowledge have served his constituents well during his freshman term in the South Carolinian House, where he was appointed to the prestigious Agriculture, Natural Resources & Environmental Affairs Committee. Since South Carolina’s devastating 1,000-year flood event in 2015, Duckworth has been assigned to the task force reviewing the incident and evaluating dam safety. He recently brought this issue to his colleagues in an informed assessment and dialogue during a roundtable discussion about dam safety and land use management at the 2016 SCASLA Annual Meeting: Come Hell or High Stormwater in Greenville, South Carolina. One highlight is the work completed for the St. Andrew Catholic Church and School. 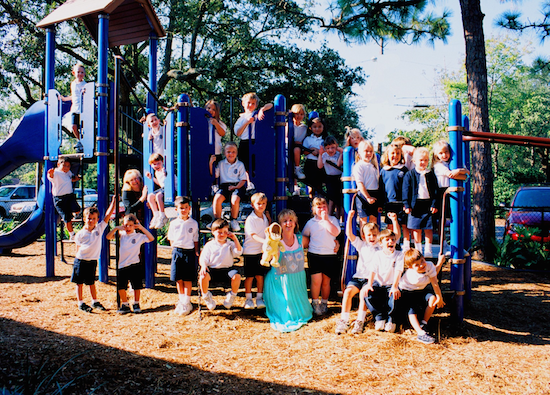 Duckworth’s firm helped the church and school with numerous site development and landscape architectural plans for improvements to their campus including the playground, family life center, and school expansion. Playground at St. Andrew Catholic Church and School. 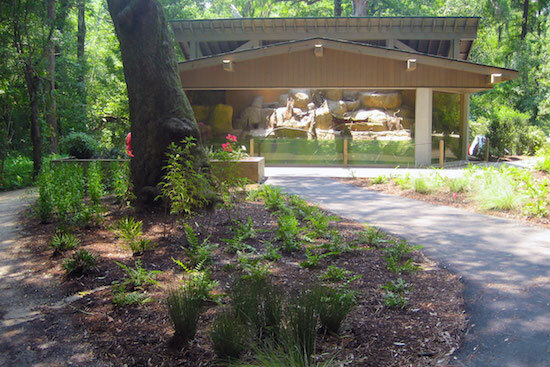 Designing the otter exhibit at Brookgreen Gardens was a particularly fun and rewarding project. Duckworth’s team was not only responsible for creating the native landscape of the exhibit, but also for developing a complementary environment from which to observe the otters frolicking. Otter exhibit at Brookgreen Gardens. 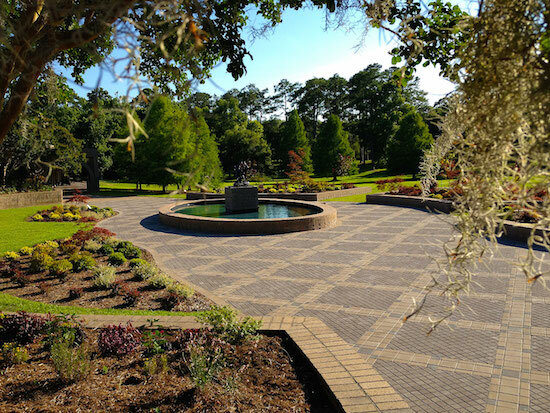 Environmental Concepts also recently completed design and construction observation services for Anna Hyatt Huntington’s Fillies Playing sculpture plaza at Brookgreen, revitalizing the gardens’ welcome center. Fillies Playing sculpture plaza at Brookgreen Gardens. Duckworth and Environmental Concepts, LLC use the industry-driven toolset in Vectorworks Landmark to create their inspired projects. The ability to customize the software in order to meet their needs, along with its powerful presentation tools, help them to better serve their clients and community. Gregory Duckworth will be recognized along with the incoming class of Fellows on October 21-24 at the 2016 ASLA Annual Meeting and Expo in New Orleans. Learn more about the work and service of all the new Fellows here.